Tiger Remodeling Group leads the industry in providing comprehensive roofing solutions with guaranteed results. The roof is one of the most important features of any home, and you need expert help fast when it’s time for repair or replacement of your home’s roofing system. As a trusted Chicago roofing company, Tiger Remodeling Group offers the solutions that you need for professional, streamlined services—at prices that you can afford. Our 100% American family owned and operated roofing company can handle everything from storm damage repair to full-service roofing installation, and you can rely on us to get the job done right with our trained, certified crews. Unlike other Chicago roof companies, the professionals at Tiger Remodeling Group take a personalized, custom approach to solving your roofing problems. Whether you are dealing with an aging, leaking system or want to upgrade curb appeal and value with a custom, high-efficiency roof, we offer the innovative products and expert services that you’ve been looking for. Local: As a locally owned and operated roofing business, we understand the unique needs of Chicagoland homeowners, making us the trusted choice for customized, expert service. Professional: All of our professional roofers are trained and certified to provide superior roofing solutions that deliver results that you can depend on. Experienced: Over the years, we’ve built our business on providing streamlined service to countless homeowners in Chicago, and our experience allows us to handle any roofing project. 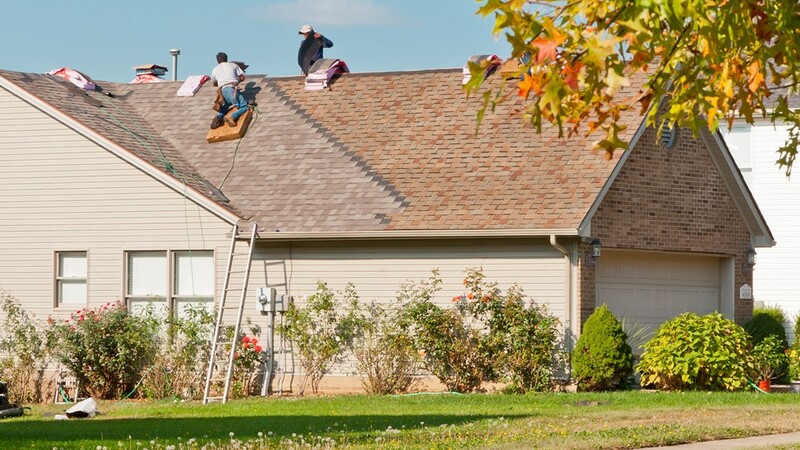 Reliable: From start to finish, you can count on our roofing contractors to be on-time, courteous, and reliable—exceeding your expectations every step of the way. Find Out Why Finding a Roofing Company in Chicago is Easy With Tiger Remodeling Group! You deserve to work with the best when investing in a project like roofing replacement, repair, or installation, and you won’t find better service or higher-quality products than with the experts at Tiger Remodeling Group. Ready to learn more about what we offer to local Chicago homeowners? Just give us a call or fill out our online form, and we’ll get you started with an in-home consultation and free, accurate roofing estimate.